I am thrilled to be able to see such a family friendly movie! 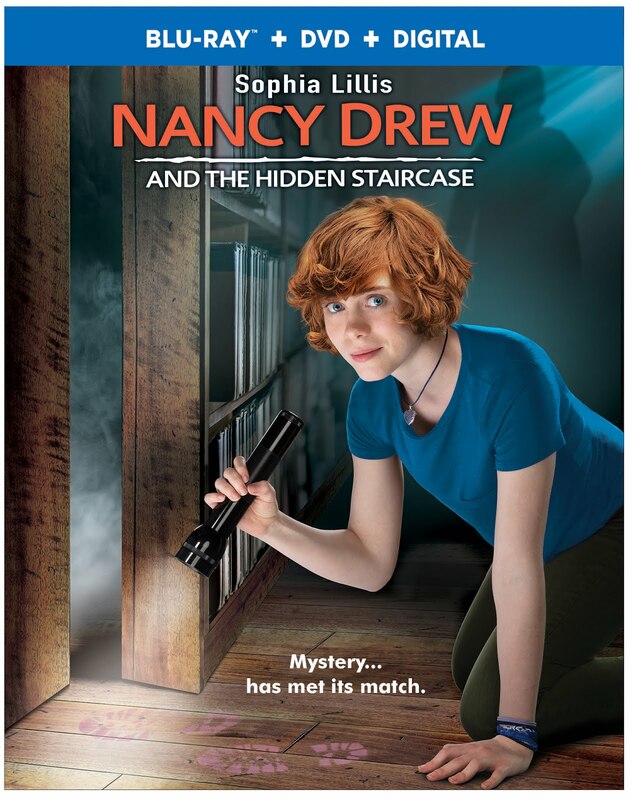 Nancy Drew and the Hidden Staircase is a wonderful kid and adult friendly movie, starring our favorite teen sleuth! I have been a fan of the Nancy Drew book series since I was a child. The iconic mystery solving teenager from the classic Nancy Drew books is back with an all-new feature length film that will keep you guessing until the very end! Warner Bros. Home Entertainment will release Nancy Drew And The Hidden Staircase on Digital starting March 26, 2019 and Blu-ray™ Combo Pack & DVD on April 2, 2019. Executive Produced by Ellen DeGeneres, the film stars Sophia Lillis (IT and “Sharp Objects”), Sam Trammell (“True Blood” and “This is Us”), and Linda Lavin (“The Good Wife” and “Alice”) and follows Nancy Drew in her new town, making new friends and on a mission to solve the case!